The following item for our blog has been written by David Gott who is one of our cabin crew speakers on the Flying Without Fear Premium Courses. 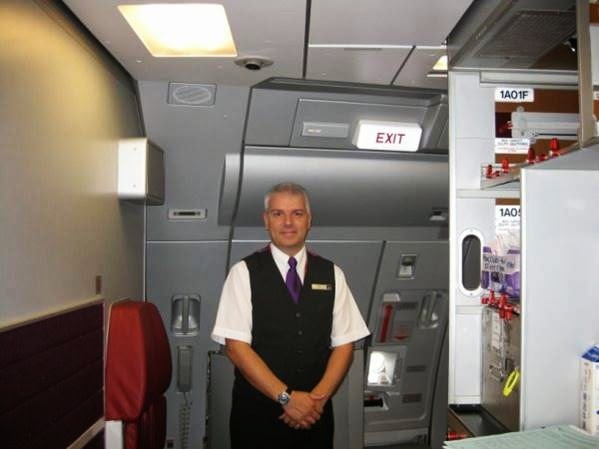 David is a Cabin Safety & Security Training Instructor at Virgin Atlantic. I recently watched one of those programmes we tell you not to watch if you have a fear of flying. You know the ones…..” Seconds From Disaster”, “Black Box” “Air Crash Investigation”. However in my case it was purely a professional interest as we are using some footage to support our cabin and flight crew training and I needed to watch the whole programme. Now I don’t normally watch these programmes as I look at the official reports of incidents so I have the full facts. I know these programmes are made for TV and they tend to over dramatize things and the language I feel is used to give the programme an even more scary edge. If you have a fear of flying don’t watch them, don’t feed your fear! What amazed me is that not only do they talk about the incident the programme was made for, but include every other incident that even has the remotest tenuous link. A couple of “disasters” for the price of one! No wonder people get scared of flying watching these! Each individual incident and that’s what they are individual incidents, are fully investigated by the proper authorities. Any changes required are then implemented by the aviation industry as a whole. If you are reading this my advice to you as a safety professional is DON’T WATCH THESE PROGRAMMES. For you to keep your fear it has to be fed. If you are searching to feed it, it will continue to survive.